Product information "Heavy Duty Self-Supporting Wall Plate"
Support and weather seal of glazing bars at lean-to roof apex. 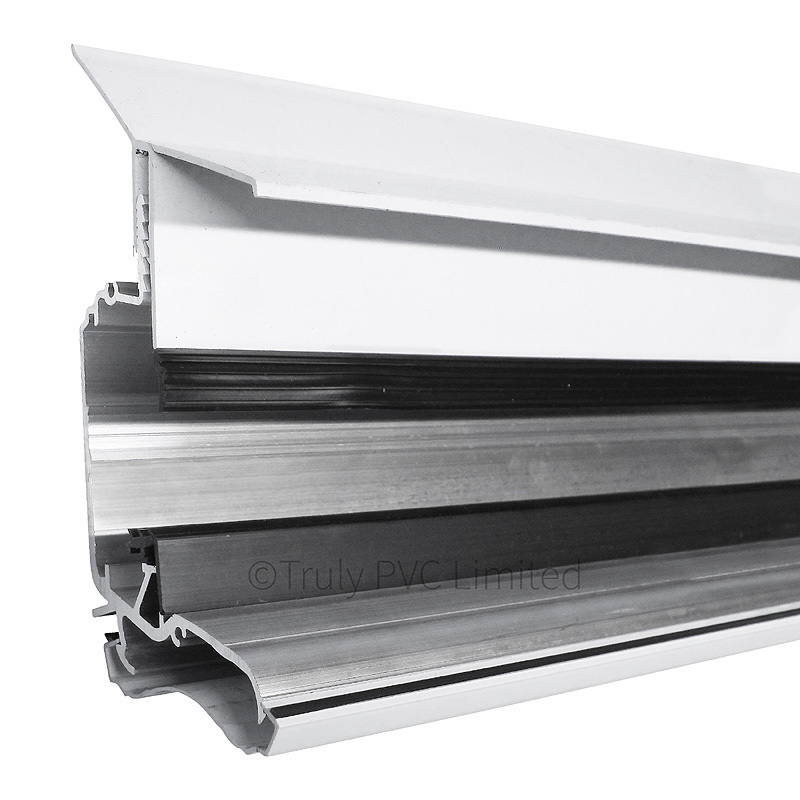 Strong aluminium wall plate with adjustable uPVC Flashing and sculpured uPVC Underclad and End Covers. 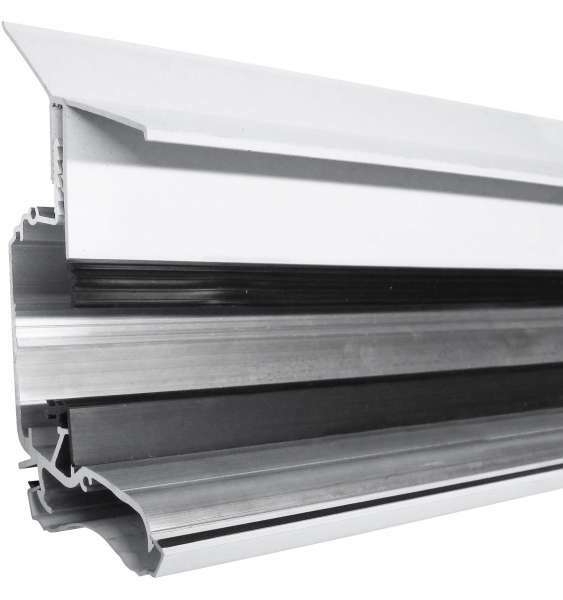 Part of the flexible and easy to use Heavy-Duty Self-Supporting Glazing System. which can span 4m unsupported without cross bearers and be used with polycarbonate or glass. Related links to "Heavy Duty Self-Supporting Wall Plate"
Customer review for "Heavy Duty Self-Supporting Wall Plate"